Who doesn't love a classic duffle coat? The Woolsdale duffle coat is a soft wool mix fully lined with the marine navy bircham bloom print. 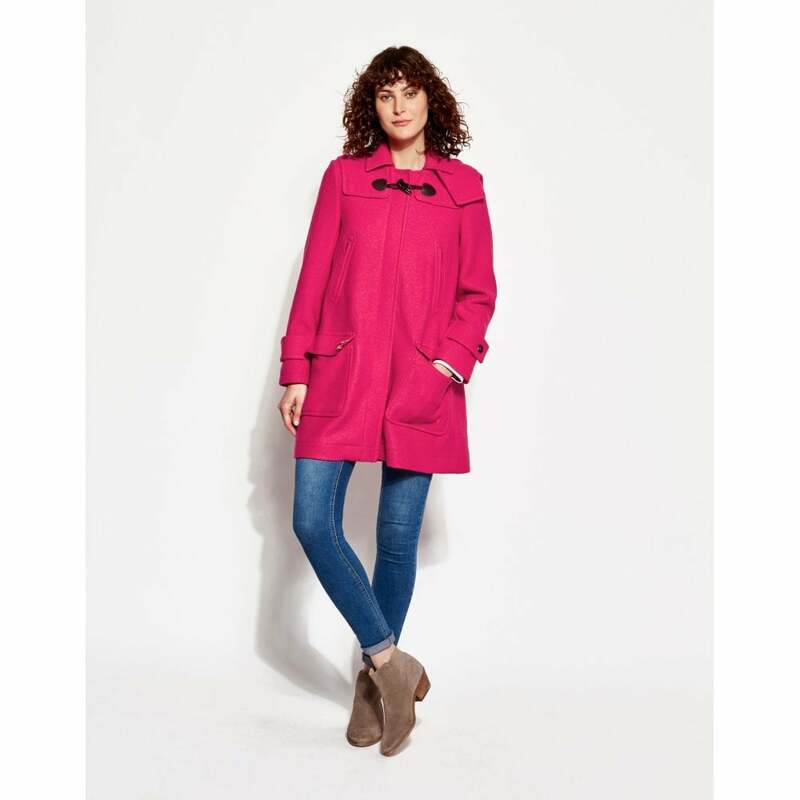 This classic coat has a buttoned detachable hood, and toggle detail. Stand out and stay warm with two colour choices, the eye catching raspberry or autumnal antique gold.